"Keep a chilled bottle of beer icy cold while you’re sipping with this inventive tool. Freeze the wand for at least three hours, then insert into a beer bottle. 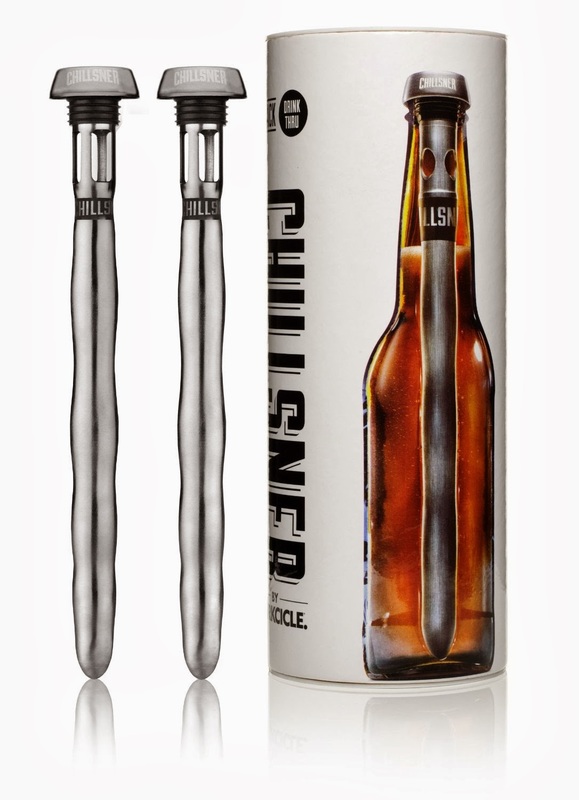 The Chillsner keeps beer refreshingly cold from start to finish, without diluting your beverage." My opinion of this product.....great idea for really hot game days.